Designed for runners wanting to hydrate easily during a workout.to replace your old water bladder.Try the new fastening system! Designed for running in sunny weather. Category 3 sport sunglasses - Full UV protection.RUNNING 500W sunglasses are so light (only 22 grams) that you'll forget you're even wearing them when running. Good venting thanks to their vented lenses and nose pads. Designed for trail runners seeking a user-friendly hydration solution when trail running. 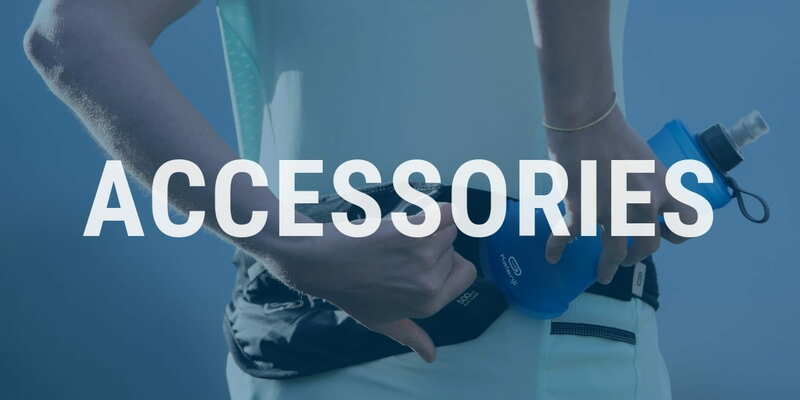 You can carry it comfortably in a pocket, trail running vest or your hand thanks to its flexibility. Designed for Trail runners in cool, cold weather.This T-shirt is ideal for trail running in cold weather. Mesh at the armpits and 1/2 zip for good breathability. The back pockets are great for carrying gels. Designed for Trail runners in training or competition in warm weather.With four pockets, go for a run without a bag or a belt while taking with you up to two 250 ml water flasks, 6 gels and even your smartphone, no problem! Designed for Trail runners in warm weatherThis T-shirt is ideal for trail running in warm weather. Mesh at the armpits and 1/2 zip for good breathability. The back pockets are great for carrying gels. Designed for Trail runners in warm weather.Cleverly designed and lightweight, these shorts have a wide waistband with an adjustable cord and six pockets, two with a zip. Extra comfort for long runs or trail running races. Designed for for training or racing in cool or cold weatherThis T-shirt is ideal for trail running in cold weather with its durable and breathable component. Mesh at the armpits and 1/2 zip for good breathability. Back pockets for carrying gels. Designed for Trail runners in training or competition in warm weather.This t-shirt has been designed specifically for Trail runners. Thanks to the lightweight component and pockets, this is the ideal companion for your long runs and trail runs. Designed for female trail runners training or competing IN WARM WEATHER.With four pockets, go for a run without a bag or a belt while taking with you a 250 ml water flask, 6 gels and even your smartphone no problem! Designed for Trail runners in training or competition in cool or cold weatherWith four pockets, go for a run without a bag or a belt while taking with you up to two 250 ml water flasks, 6 gels and even your smartphone no problem! 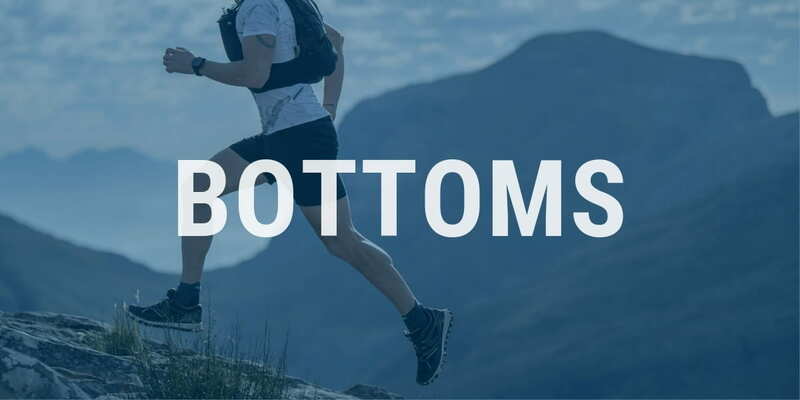 Designed for Trail runners in training or competition in warm weather.With four pockets, go for a run without a bag or a belt while taking with you up to two 250 ml water flasks, 6 gels and even your smartphone no problem. Designed for Trail runners in warm weatherVery comfortable wide waistband with draw cord. Lightweight and handy with its four pockets including one zip pocket. The ideal leg-wear for long runs or trail running in competition. Designed for prevent sand, pebbles, sti cks, etc. from getting into your shoes.No more pebbles in your shoes to ruin your run! The elastane component is flexible, lightweight and adaptable. Runners can forget they're wearing them! Designed for Trail runners in warm weatherVery comfortable wide waistband with draw cord. Lightweight and handy with its four pockets including one zip pocket. Comfortable shorts lining reduces chafing. Designed for trail runners training or racingApplying pressure on different parts of the thigh helps to reduce vibrations on the skin and muscles while trail running. Six pockets for flasks, gels and smartphone. Designed for Trail runners in training or competition in warm weather.This T-shirt has been designed specifically for Trail runners. Thanks to the lightweight, breathable and durable component and pockets, this is the ideal companion for your trail runs. Designed for for training or racingWith six pockets, go for a run without a bag or a belt while taking with you up to two 250 ml water flasks, 6 gels and even your smartphone no problem. Discover the pleasure and the benefits of running in the nature with Trail Running! Are you keen on hiking and also happen to be a running enthusiast? You should try out trail running! Are you ready to enjoy off-the-beaten tracks, steep trails as well as a long-lasting effort? 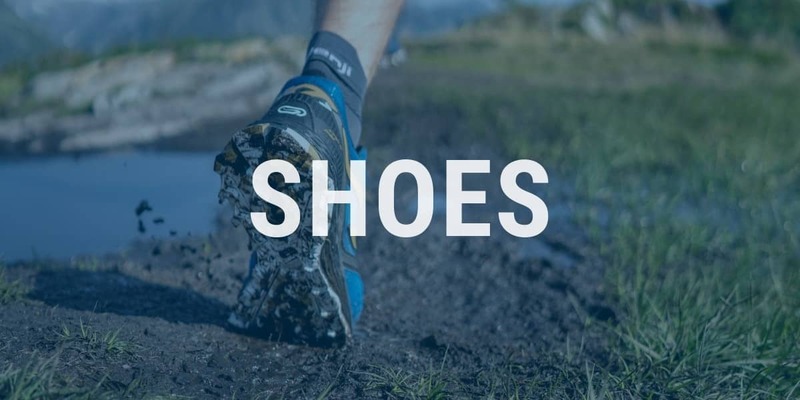 As trail running & road running are very different, you will need special trail running equipment to last the distance and run on uneven and slippery paths! 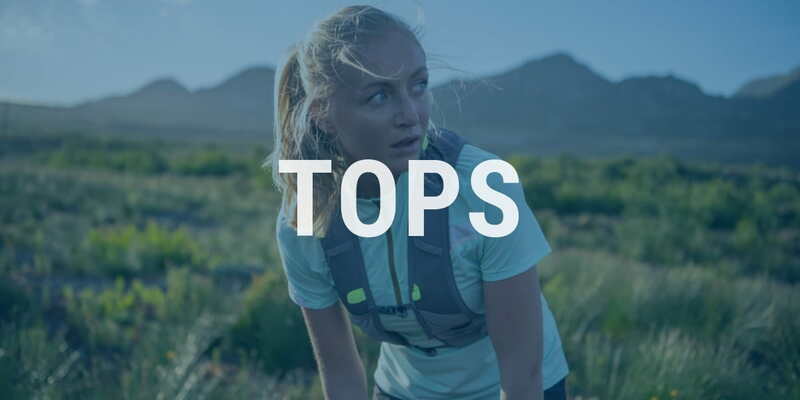 Whether you're a newbie in trail running or you're already running ultra-trail races, we have a complete range for each level. From trail running shoes with grip, shorts with many compartments to store your cereal bars and hydration bags to be as autonomous as a camel, you can go trail-running with complete peace of mind! Don't forget your headlamps if you're running at night!